Interest around tackling food waste is on the rise in New Jersey, more so than it has been in years, yet the state's path toward progress is still uncertain. Inspired by ongoing action throughout the Northeast, and intrigued by the environmental and economic opportunities, many see a chance to make meaningful progress. Yet a state plan on how to potentially do this is months overdue, and legislation that would establish a commercial diversion mandate still hasn't passed after years of attempts. In the meantime, options for managing any material that can't be prevented or recovered for rescue upstream are limited. A 2006 BioCycle article once described New Jersey as a state that "seemed poised for a revolution in food residuals recycling," but that transition never came to pass and the list of failed projects is long. Today, the state only has one commercial composting operation, Ag Choice, operating at full scale. As is often the case with waste, the issues at hand are locally unique, though they're also emblematic of two core questions currently running through the national food waste dialogue. Can the issue be solved by focusing primarily on upstream reduction alone? And, if it can’t, are landfills with gas capture systems an appropriate final destination for organic material, as many of the industry's largest companies often claim? The overarching force behind this current moment is a law signed by former Gov. 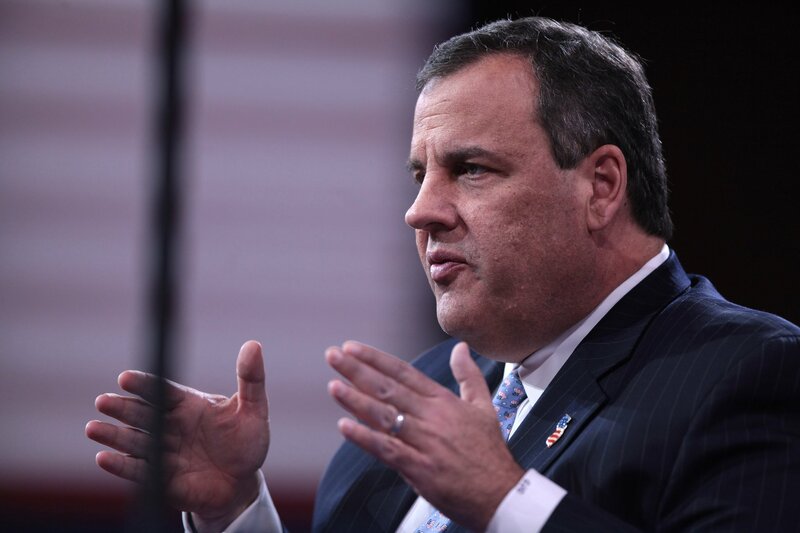 Chris Christie in July 2017 that sets a state target of 50% food waste reduction by 2030, effectively aligning New Jersey with existing U.N. and U.S. goals. The Department of Environmental Protection (DEP) was directed to work with the Department of Agriculture to "develop and commence implementation of a plan" within one year. This plan must also include "at least three public hearings during the development of the plan to seek public input thereon." To date, the DEP still hasn't released a plan or held a meeting. In September, the agency told Waste Dive its plan was going through final approval, with public meetings to come soon after, and offered an overview of what to expect. “It’s focusing on source reduction, raising awareness, elevating the issue of food waste among the public. That’s sort of how we look at this bill and this plan," said Fredrik Khayati, an environmental specialist in DEP's solid waste division. "It doesn't give us a mandate to do anything really." Khayati cited the EPA, Natural Resources Defense Council (NRDC), ReFED and other state governments as inspirations, and described this initial draft as a combination of those best practices. “We don’t want to reinvent the wheel. So if someone’s already doing something good we can help them promote it." The agency does hope to play a role in establishing better baseline data for how much food is getting disposed of in the state each year — the latest estimate was 1.37 million tons as of 2010 — but currently doesn't have any intention of making policy recommendations beyond those upstream solutions. Downstream solutions, such as composting or anaerobic digestion, will not formally be part of the plan, and that hasn't sat well with a local branch of the U.S. Composting Council formed in August. “The NJ Composting Committee is very interested in the planning process that’s going on right now. We think that it’s a great opportunity to address organics recycling and composting, and a lot of the hurdles," said Matthew Karmel, a committee member and environmental attorney with Riker Danzig. "We’re concerned and we want to make sure that it’s done appropriately." Yet the track record of site challenges — and a unique county-driven system — has made any discussions about downstream processing extra sensitive. Besides, the DEP is waiting to see what happens with a quietly controversial bill that has been working its way through the state Senate off and on for years. First introduced in 2015 by state Sen. Bob Smith, this bill is currently on its third iteration as S1206. Smith is known for his environmental record — including the bill that set the state's 2030 goal — and the language largely follows commercial organics diversion mandates in other Northeast states. Starting in 2020, any business or institution generating two tons or more of food waste per week would be required to source separate that material and send it to an authorized recycling facility. That would expand to generators of one ton per week by 2023. Compliance would only be required if an available facility was located within 25 road miles. Plus, waivers could be requested from the DEP if costs exceeded 10% more than traditional disposal fees and transportation. On-site processing would also be allowed. Yet the key difference is a line that would also allow the material to go to a "sanitary landfill facility that delivers the landfill gas to a gas-to-energy facility as fuel for the generation of electricity." Sources indicate there has been some discussion about potentially phasing out this language as new infrastructure comes online, but its status remains unclear. No formal action has been taken since the bill passed out of committee in February and a fiscal estimate was released in June. Multiple attempts to coordinate an interview with Smith's office were unsuccessful. A review of comments submitted to the Senate environment committee over this bill, and its predecessor S771, provide a more detailed look at where the complexity lies. Since 14 of New Jersey's 21 counties have some form of flow control in place, and many own their own landfills, they aren't happy with the prospect of losing that tonnage. Their concern influenced multiple amendments to create the bill in its current form. The New Jersey Association of Counties, which is credited with helping to organize this opposition, did not respond to a request for comment. Earlier this year, one county official helped clarify the position. 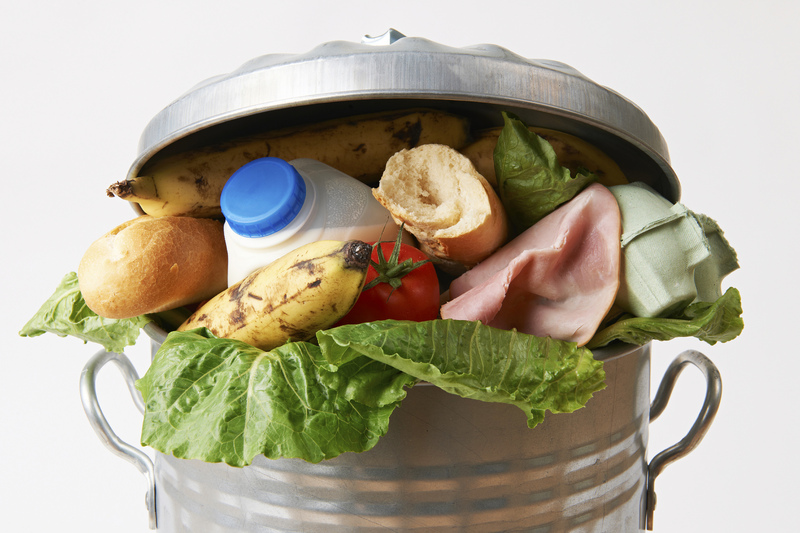 “We’re not against food waste recycling," said Gary Conover, solid waste director for the Atlantic County Utilities Authority (ACUA), in an April interview. Instead, Conover said the main issue was that many counties have invested big money in their gas capture systems and don't want to see that jeopardized. “If you start diverting organics, mandating it from certain facilities, it has the potential down the road to affect the gas curve." Conover said he personally preferred a system that would allow counties to opt in or out. When asked whether ACUA could potentially profit from constructing its own organics processing facility, he said it wouldn't be that simple under the proposed mandate because flow control isn't expected to apply. For example, local material from Atlantic City could just as easily go to an ACUA facility or another one across the county line. Plus, capital costs and siting are viewed as additional barriers. “It might be the right thing to do, but there’s economic impacts and consequences," said Conover. Yet the addition of this landfill-friendly language has attracted opposition from other corners. As written, S1206 would make waste-to-energy facilities among the few places not considered a compliant destination. Covanta, which operates multiple facilities in the state, submitted joint comments with two organics processing companies last year asking for the landfill exemption to be removed — among other recommendations. "As written, the legislation favors landfills over WTE and runs counter to the waste hierarchy of the U.S. EPA. We are hopeful that the legislature will amend the bill to — at a minimum — treat WTE the same as landfills," wrote James Regan, Covanta's director of corporate communications, via an email that also referred to research showing WTE may create fewer greenhouse gas emissions than landfills with gas capture systems. 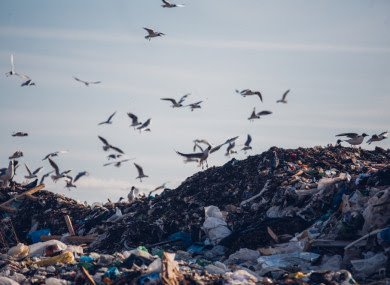 The Association of New Jersey Recyclers, which has been working on this legislation for years, is still in discussions about the landfill exemption but remains hopeful that the bill can help kickstart new investment in processing infrastructure. “We knew it wouldn't be perfect, but it’s a first step," said Executive Director Marie Kruzan. In a sign of potential missed opportunity, Kruzan said some grocery stores are already separating their material to facilities in other states such as Pennsylvania. Some schools such as Princeton University also have their own on-site capabilities. Though New Jersey still has many generators that aren't currently doing anything with their material, and this would be a way to start changing that. “This bill will help everything," said Kruzan. “This is a jump start." While discussions seem to have been dragging on for years, those involved do see promising signs. On the infrastructure side, Waste Management now has a CORe pre-processing facility in Rahway and the start-up Industrial/Organic is also operating Newark. Plus, media interest has picked up over the summer with multiple stories and the DEP plan, regardless of what's in it, will generate further attention. If the right factors can align, one estimate has indicated the state could handle as many as 10 anaerobic digesters with individual capacity for 100 tons per day. Though Karmel, the attorney, described the current permitting process as cumbersome and restrictive and said more will need to be done to help this local industry grow even if S1206 does pass.